The UMHB Center for Baptist Studies (CBS) was established in 2008 to promote the study and preservation of Baptist heritage. 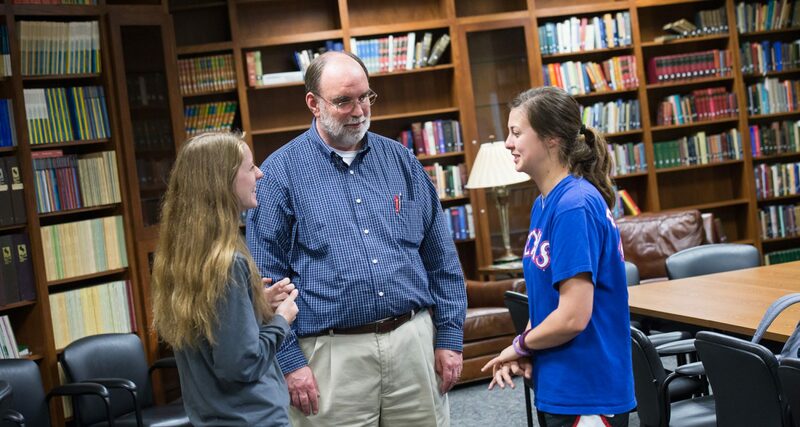 The center serves as a resource for students, pastors and scholars, offering lectures and conferences that focus on various aspects of the Baptist identity. The CBS is housed on the second floor of the beautiful Meyer Christian Studies building on the campus of the University of Mary Hardin-Baylor. The CBS includes a non-circulating library with a growing collection of primary and secondary sources related to Baptist Studies. Our acquisitions also include current works in theology, Biblical studies, ministry, Christian ethics and church history. UMHB students and guests alike utilize this unique space given in honor of Dr. Paul Powell by the Robert Rogers Foundation.